The long life elisir. Only the best that comes out of this exceptional fruit and nothing else. Nature created them and we bottled them 100% Juice, not from concentrate, nothing more. Rich in fundamental nutrients for our well being and our health and with diuretic, antioxidants and anti tumour properties. Maybe the Romans had already guessed its exceptional properties when, at the time of the Punic Wars, they decided to import this plant from Persia. A special line, with functional ingredients, designed for those who want only the best from fruit. 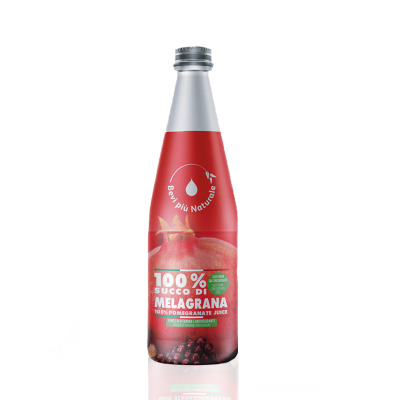 3 references: Bergamotto 100%, Melagrana 100%, Mix of Arancia Rossa 80% and Bergamotto 20%. 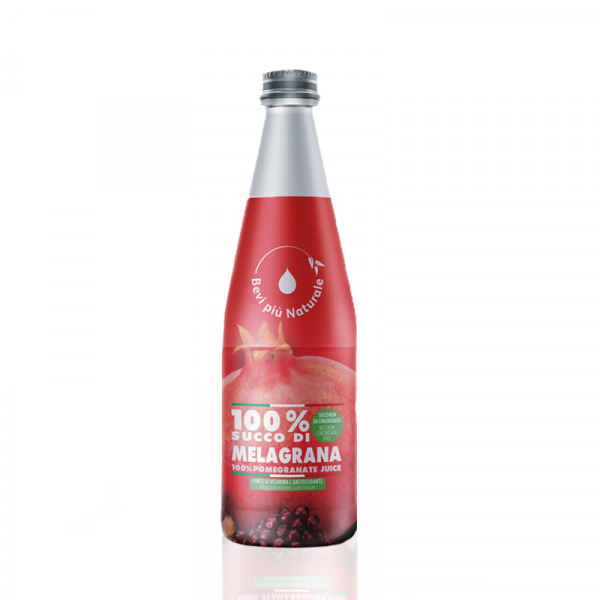 All the C Vitamin, all the unique quality of citrus fruits and of pomegranate cultivated along the Mediterranean coasts, packed in a practical screw-cap bottle, that allows to preserve its freshness even after opening. Without flavours, colourings or preservatives and with no added sugar. 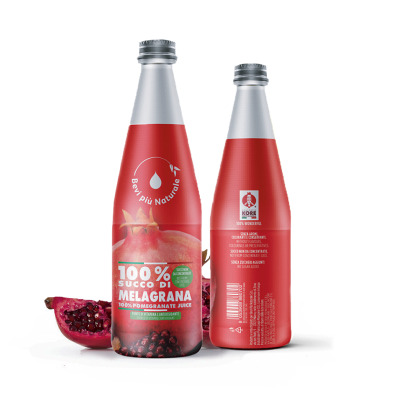 100% Pomegranate juice of the Wonderful variety.